49 Sq. Mile isn't afraid of color. Whenever I’m on Maui I always have to visit the boutiques in Makawao. 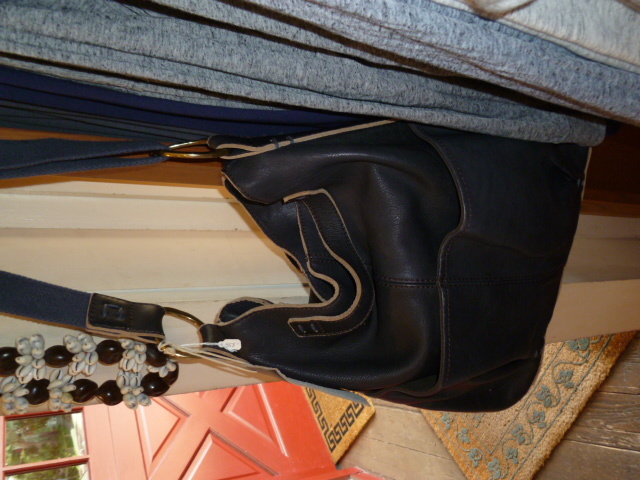 When pressed for time, there are two boutiques I have to at least make a quick run through: Holiday & Co. and Altitude. When we were on Maui last week I popped into Holiday & Co. with my friend Cheryl (my favorite shopping partner) and spotted a new line from France called “Cotelac” which I love. Find it at www.cotelac.fr. There was a little silk dress with a bright tucan print that was so fun for Island living. On closer inspection, you could see the designer had placed little pleats with white insets all around the body of the dress. A difficult construction feat, indeed! A bag by 49 Sq. mile from San Francisco. 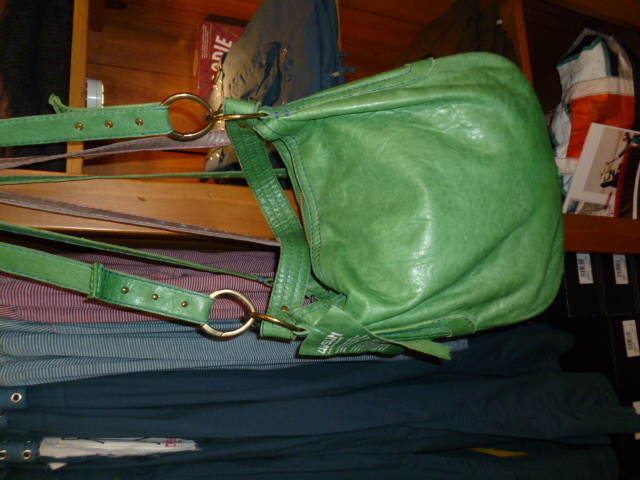 Holiday & Co. also has the 49 Square Mile line of handbags from San Francisco. Eco-friendly and yummy to the touch, it’s an investment bag to purchase and carry for many, many years. The bags are also ideal for travel, with practical pockets inside and outside for sunglasses, passport, keys, whatevahs. Altitude’s owner/buyer, Janine de Roode, is one of those quintessential French women with je ne sais quoi, that difficult-to-define chic. She translates this into her buying. My fave find at Altitude this visit is Pono (www.ponobyjoangoodman), a fabulous line of unusual, bold accessories that can simply make a simple outfit. Although Pono is made in Italy and the designer lives in New York, the name is, in fact, inspired by the Hawaiian word, “pono,” which means righteous or good. The designer, Joan Goodman, spent time in Hawaii and clearly never got it out of her system. 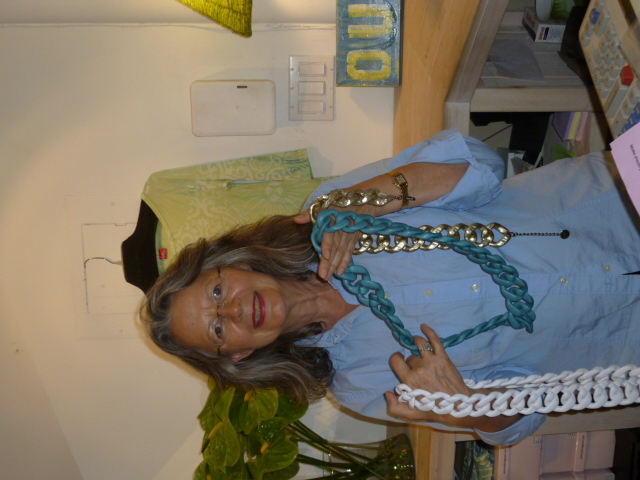 Janine de Roode, owner of Altitude, unpacking Pono jewelry. Doesn't that look like a jade lei? Sorry – neither of these boutiques has a website.